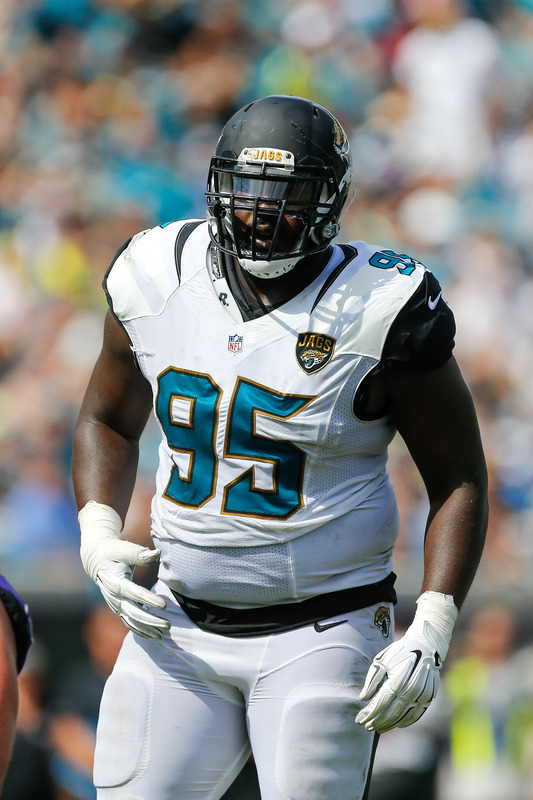 The Jaguars are nearing agreement on a new deal with pending free agent defensive tackle Abry Jones, Ryan O’Halloran of the Florida Times-Union tweets. Jones’ contract will be a four-year, ~$16MM pact featuring $6.5MM in guarantees, reports Mike Kaye of First Coast News. Last year, Jones was a restricted free agent and Jacksonville retained him with the second round tender. Now slated for unrestricted free agency, Jacksonville was unwilling to let him test the open market. In 2016, Jones saw more playing time than ever, appearing in 15 games with nine starts. His statline of 32 tackles and zero sacks might not have been an attention grabber, but he was an effective bully on the interior line which allowed Malik Jackson to shine. Last season, the advanced stats at Pro Football Focus placed Jones as a top 25 defensive tackle in the league. In 2014 and 2015, Jones totalled 5.0 sacks as a reserve. The former UDFA won’t turn 26 until September. I’d love to see the Giants use this contract as the benchmark for resigning Jonathan Hankins. Please alert us when they change those god awful helmets.